Make amazing funny photos with Funny PhotoFrame Maker app. 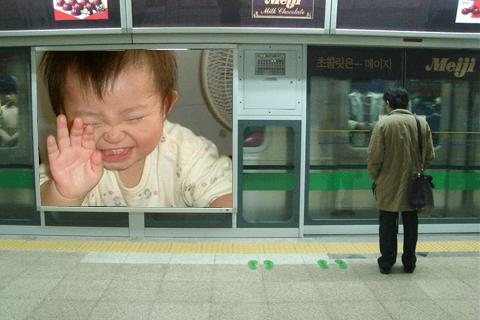 Apply funny photo frames to your picture to create the fullyfunny photo effects. There are billboards, hoarding, art gallery,door frames and other templates of fun and cool. 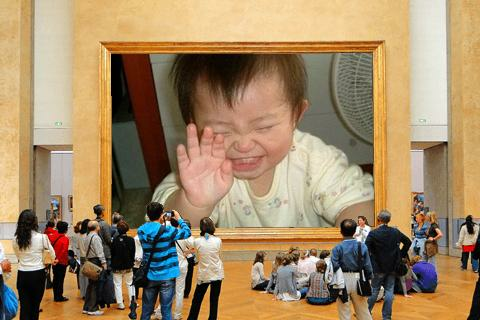 Funny Photo Frame Maker is one of the most popular FREE photoeditor apps. Make Amazing Man Suit Photos with Man Suit Photo Maker app. ManSuit Photo Maker app lets you try on different suits and check onyourself. Just a single click and you can try wide variety of suitson you. Man Suit Photo Maker lets you add suits to the pictureseither from gallery or the camera. If you want amazing and stylishlook it is best alternative of spending money on expensive suits.With Stylish man suits you can take your photo after selecting asuit, from a wide variety, that fit to your personality. Feature: ★Easy to use. ★ Latest fashioned, and Stylish collection ★ Select aphoto from the gallery or take photos using the phone's camera. ★Wide range of styles and different templates for any picture. ★Scale, zoom and move your gallery picture for a perfect fit withinthe template. ★ Choose your favorite Man Suit Maker Photo and seethe photo effects. ★ Share your creations via WhatsApp, Flickr,Facebook, Picasa, Twitter, Instagram, Skype and other socialnetworks. Internet usage:- #Application uses internet connection toload this app. Feedback:- If you have any suggested features orimprovement, please leave a comment. In case something is notworking correctly please let me know. When posting low ratingplease describe what is wrong to give the possibility to fix thatissue. Ads-- There are ads in this app. Images for this app arestored on the internet and this costs money. application is free,it does not promote paid version of this app, the only way tosupport future development is to include ads. Please treat thatwith understanding. Share your work of art on your Facebook,Whatsapp, Twitter, or other social media. Be enjoy and have funwith your new Man Suit Photo Maker here in the app store. DownloadNow and Hope you love this app..
Make amazing Arab Man Photos with Arab Man Photo Maker app. ArabMan Photo Maker app lets you try on different suits and check onyourself. Just a single click and you can try wide variety of suitson you. Arab Man Photo Maker lets you add suits to the pictureseither from gallery or the camera. If you want amazing and stylishlook it is best alternative of spending money on expensive suits.With Stylish Arab Man Photo you can take your photo after selectinga suit, from a wide variety, that fit to your personality. Feature:★ Easy to use. ★ Friendly user interface ★ Latest fashioned, andStylish collection ★ Collection over 30 HD quality Arab Man Photodesigns and style. ★ Select a photo from the gallery or take photosusing the phone's camera. ★ Wide range of styles and differenttemplates for any picture. ★ Scale, zoom and move your gallerypicture for a perfect fit within the template. ★ Choose yourfavorite Arab Man Photo Maker Photo and see the photo effects. ★Share your creations via WhatsApp, Flickr, Facebook, Picasa,Twitter, Instagram, Skype and other social networks. Make a great Thug Life photo with ease! andshare instantly via social apps. Thug Life Camera Sticker willallow you to edit you favorite photos with thug life sticker. Makefun of your friends, family, yourself and share it via Facebook,Whatsapp, Instagram, Telegram, Line, Wechat, or others social apps.Take a photo or pick up one from the gallery, then you can start toedit with your favourite Thug Life Sticker, once you are done youcan share as you like!Features:- Simple and easy to use- rotate/flip the thug life sticker- share the funny pictures (thug life images) to the main socialnetworks, including whatsapp,facebook, line- save thug life images to SD Card or internal storage- import photo from gallery or take a photoHow to use:1. Click on START, Tap 'Open', choose 'Camera' to take new photo OR'Gallery' to choose existing photo from your device.2. Tap on 'Mask' and 'Choose', click on your favorite Thug LifeSticker to put on your photo. Double tap on the troll face toenlarge, pinch to enlarge, reduce or rotate. You may adjust itstransparency ('Alfa'). Tap 'Mask' and 'Apply' to merge it. You mayadd multiple troll faces or delete it.3. You can also adjust the photo 'Effect' for 'Grey', 'Color' or'Sepia'.4. After finish, tap on 'Send' or save to 'Gallery' or 'Share viaapps' if you want to share via Facebook, Whatsapp, Instagram,Telegram, Line, Wechat,Emails, Collage Maker, Facebook Online.Don't miss this chance to enter the "Thug Life Camera Sticker"today! is amazingly fun! Do you like to put troll & rage faces inyour photos? make fun of your friends, family and yourself withTroll Face Photo Sticker. Put Troll and Rage faces in your photosand share instantly via Facebook, Twitter, Mail, Flickr, Bluetoothand more...Enjoy the ultimate Troll Face Photo Sticker application that canchange faces and replace them with troll faces (otherwise known asmeme faces or tumblr faces).This is the only application of thistype featuring a live preview, which lets you see and change thetroll faces before taking the photo and see how it will look! It isalso possible to import previously taken pictures and photos, andhave their faces replaced with troll faces.Resize, reposition and change troll faces before saving orsharing your new photo with the world. Features over 200 of themost popular rage/troll faces, but you can also load your ownimages!Troll Face Photo Sticker Features:- choose from 200+ troll faces- import photo from gallery or take a photo- insert unlimited number of troll, rage and meme faces- your own personal Troll Face, Rage, Meme Photo sticker- rotate/flip the troll faces- save your edited photos to SD card- share them via Facebook, Twitter, Mail, Flickr, Bluetooth andmore...- refer to screenshots to get better feel of the app (or simplydownload it ;)How to use:1. Click on START, Tap 'Open', choose 'Camera' to take new photo OR'Gallery' to choose existing photo from your device.2. Tap on 'Mask' and 'Choose', click on your favorite troll face toput on your photo. Double tap on the troll face to enlarge, pinchto enlarge, reduce or rotate. You may adjust its transparency('Alfa'). Tap 'Mask' and 'Apply' to merge it. You may add multipletroll faces or delete it.3. You can also adjust the photo 'Effect' for 'Grey', 'Color' or'Sepia'.4. After finish, tap on 'Send' or save to 'Gallery' or 'Share viaapps' if you want to share via Facebook, Whatsapp, Instagram,Telegram, Line, Wechat, Emails, Collage Maker, Facebook Online.Don't miss this chance to enter the "Troll Face Photo Sticker"today! is amazingly fun! Make amazing funny photos with Hijab Fashion Photo Maker app.Consider wearing Hijab? Want to know how you look in Hijab orTudung? Download this Hijab Photo Maker app and see in yourself inHijab suit. This Hijab Camera app is suitable for women or mom.Apply Hijab Designs and styles to your picture to create the fullyHijab frame photo effects. There are plenty collection of Hijabfashion design and styles for you to choose and as a hijab guide.Hijab Fashion Photo Maker app is one of the most popular FREE Hijabphoto editor apps. Feel free to play this app with your familymembers and friends in this Hari Raya Aidil Firti and Eid Mubarak.Features - Collection over 30 HD quality Hijab fashion designs andstyle. - Friendly user interface - Take picture using camera orchoose from gallery - Choose your favorite Hijab desing and see thephoto effects - Save your Hijab photo effects and share viafacebook, twitter, sms and email your friends Internet usage:-#Application uses internet connection to load this app. Feedback:-If you have any suggested features or improvement, please leave acomment. In case something is not working correctly please let meknow. When posting low rating please describe what is wrong to givethe possibility to fix that issue. Ads-- There are ads in this app.Images for this app are stored on the internet and this costsmoney. application is free, it does not promote paid version ofthis app, the only way to support future development is to includeads. Please treat that with understanding. Share your work of arton your Facebook, Whatsapp, Twitter, or other social media. Beenjoy and have fun with your new Hijab Fashion Photo Maker here inthe app store. Download Now and Hope you love this app..
Would you like to try picture-in-picture (PIP) effects repeated toinfinity? Or unique funny face effects? 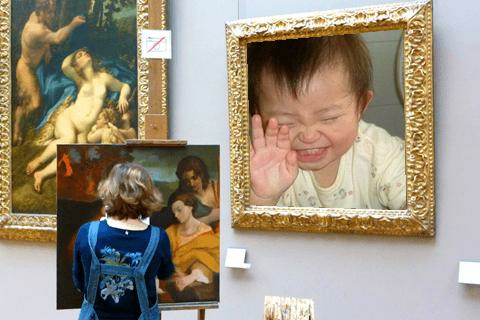 How about getting creativeby shaping beautiful artworks based on animated droste effect?Photo Window app makes all of this possible! • Select fromdifferent shapes of the picture window (elliptical suits best forfunny face effects, polygonal for repetition inside frame-likeobjects) • Setup the effect in real-time pip camera preview or usephotos from your gallery • Save the picture and get dragged intothe infinity • Improve your creation with the editor features • Flystraight through the picture in an immersive 2D / 3D animation •Create funny animated GIF images • Share funny photos, selfie orGIF animations on social networks, via messengers, etc.--------------- Photosensitive seizure warning: Please make sureyou read the following warning and understand the risks involvedwith the usage of Photo Window application:http://vacuapps.com/photosensitive_seizure_warning.html--------------- Disclaimer: Sharing of GIF animations might notwork on certain social networks, because of the lack of GIF supporton their side. Suite Photo Editor – Fashion is one of the most thrilling suiteeditor app. With this amazing application you can putyour face into several nice men suits. Suit Photo Editorfashion app is a latest and usually free android suit editorapplication which usually provides HD men suit design dress,glasses, hair styles and mustaches collection. Here you can see howyou look in these men’s suit blazer coat HD image clothes. Createcustom photos with men suit photo montage effects app and edit yourphoto with new stylish collection & latest design. Create theStylist photo montage with men casual shirt photo suit. Herewe provide the Great tool for men’s shirts photo Background RemoverSo unwanted part of Face will be removed and become the highquality hot photo of your selfie picture will stand out from therest of pictures. On the single click, you have the wide variety ofdifferent style and color of the business Shirt. Find your perfectnice shirt template and let the face swap photo fun begin. If youlike to dress up games then Insta pic Suite Photo Editor –Fashion is the perfect alternative without spending money onexpensive shirt shopping and dress up yourself easily. photo editorphoto editing software online photo editor photo editor online editphoto picture free photo editing software editor photo editor freeimage editor edit photo online edit pictures photo effects freeonline photo editor photo editing software free photo editor onlinefree picture editor photo maker online photo editor free onlineeditor best photo editor photo editing free online picture editorphoto editor com online image editor edit pictures online pictureeditor online picture editor free photo enhancer free image editorphoto online image editor online photo effects photo edit photoeffects online photo editing online free photo editor online funnyphoto editor online photo editing free online photo edit photoonline free edit image cool photo effects photo online editor bestfree photo editor. Pic edit pic editor photo studio pics art photofilter studio photo studio professional pics art free studio phiztree of life ics art pic art photo studio picture art pics artphoto pic studio-free app editor maker share fx editor video makingapps effect studio photo effect apps studio m photo studio freeFlickr best photo editor free best photo editor effect studio piceffect opacity shares for Flickr photo effect studio photo studioPhoto filter studio commando dress editor. Photo funia suit photoeditor man suit photo maker. photo editor online photo editor photoeditor app edit photo free photo editor picture editor free photoediting software image editor edit pictures photo maker free onlinephoto editor edit photo effects photo editor best photo editor freepicture editor online editor online picture editor online imageeditor photo enhancer best free photo editor free image editoronline photo effects picture maker photo edit photo online pictureseditor edit image easy photo editor online pic editor funny photoeditor pic editing photography editor professional photo editorphoto editor online free image editing photo creator best onlinephoto editor edit pictures online for free new photo editor photoediting websites cool photo effects photo editor applicationeditor. Features of Suite Photo Editor – Fashion:- Best and latestfashioned stuff of suite.- With smart and handsome bodycollection.- Both male and female categories.- Image pick fromgallery.- Save SD card Option.- Zoom in/Zoom out best option.- Easyto use and understand. - FREE. It’s Free for you so downloadthis Shirt Photo Editor app now and you will always have someinteresting virtual makeover pics with art. Share withyour friendsSimple to use, easy to learn and share. Create funny Bald Photo of your friend face and share with yourfriends .If you are looking for an app to Bald face or produceHairloss effect of someone photo then this is the app all youneed.Along with the bald effect you can apply funny mustaches ,ear,nose,lips ,eye,hair and lot of other option to make your photomore funny.Features :1. You can select photo from camera or gallery.2. Automatically detect face and gives you option to adjustmarkers to correct the position.3 . Apply funny mustaches ,ear,nose,lips ,eye,hair and lot of other option to make your photomore funny4. Lots of options of photo Editor to make your photomore clear and beautiful. 5 . Save Photo to your photo gallery6 .Share with your friends via email, FaceBook or TwitterWarning:•Baldy works best with front face photos with both ears and foreheadexposed. There is a new photo editing software on the app market for allfans of tattooing games and photo montage. This photo studio prooffers a wide variety of photo booth “tattoo designs” that willmake your beauty snaps look stunning. Browse through our tattoocatalogue and make your choice among various tattoo patterns –tattoo fonts, funny tattoos, tattoos for women, dragon tattoodesigns… ❖Tattoo Photo Editor ❖is going to introduce you to thesecret picsart techniques which will help you manufacture the besttattoo photo collage ever. Download this photo grid app forAndroidTM, enter your new pic lab and start experimenting withnumerous kawaii stickers for pictures. Just install for free andenjoy the photo mania. Features of ♣ Tattoo Photo Editor ♣♥ Thelargest variety of “tattoo stickers” for photos;♥ Pick a stickerfrom the tattoo booth: a great number of tattoos of all shapes,sizes and colors.♥ Heart tattoos, crazy and cute tattoos, skull andtribal tattoos - just take your pick.♥ Drag the sticker with yourfinger and place it on the pic! ♥ Scale the sticker and adjust itthe way you like: change its position, zoom in, zoom out, removethe sticker...♥ Share pictures with your friends on Facebook orTwitter♥ Get this tattoo pic editor for free and let the photofunia begin.♥Tattoo edit pictures with awesome “photo stickers” andstamps –free download.❖Give a warm welcome to your new tattoostudio where you can try out diverse tattoo stencil designs, photoedit stickers, think up photo pranks and create photo wondercollages of all times. This fantastic tattoo maker enables you toconvert your beauty selfies into extraordinary pics with tattoopicture effect in a matter of seconds. Just step into your newtattoo salon, sit back and marvel at the insta picturetransformation. Don’t pass up this opportunity to join the trend oftattoo “photo editing”. Get your ♣ Tattoo Photo Editor ♣ and tattoophotoshop your insta snaps. ❖ If you want to make an impression ofbeing a bad girl this tattoo editor will help you achieve theresult. Put this social photo app to good use – tattoo yourself onyour photos, share them across all social networks and watch yourpopularity grow. No cute guy is going to be immune to your wondroustattoo pictures. Feel free to post such picmix creations on yourFacebook and Twitter walls and to face any photo booth challenge.Our tattoo simulator is here to help you become an expert in funnyimage editing. Get this “tattoo camera” app and you will discoveran abundance of amazing tattoo ideas.❖ “How am I supposed to tattoomy photo”? Has this question ever occurred to you? This creativephoto editor provides the best solution to your problem. Pick yourfavorite profile picture or take a new one, add a couple of cooltattoo stickers, position them the way you like – and there it is,your tattoo photo is ready to adorn your social media pages. Becomea virtual tattoo artist in no time with this tattoo yourself cameraapp. Download this magic picture editing tool free of charge andexperience incredible photo fun. A photobucket full of cute girlphoto booth stickers is awaiting you in our ♣ Tattoo Photo Editor♣.❖Tattoo your photos this instant with our new beauty cameraeditor and impress your acquaintances with your insta photo editingskills. What are you waiting for? Stick it and flaunt your newlycreated tattoo collages. You can also find a lot of inspiration fordecorating your pics in our collections of glam photo stickers,deco stamps, fancy text and romantic photo frames that are waitingfor you in the app store. Our photo enhancers, tattoo design appsand other photo designers and editors will always be here to helpyou write an amazing pic story. Decorate your photos with beautiful eye and make them beautiful andAmazing! 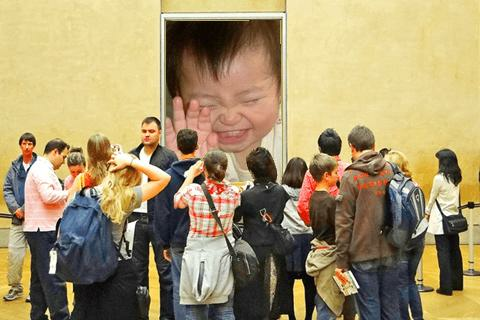 Choose Eyes photo frame effects to make an image of youmore beautiful. "Eye Collage Photo Editor" features:~ Multiple EyePhoto Frames available.~ photo editor very easy to use.~ Select aphoto from gallery or capture it with your camera phone in realtime. ~ Rotate, scale, zoom in, zoom out or drag the photo to fitthe frame as you like.~ More than 18 photo Eye frame designs areprovided.~ Give different effects to your photo.~ Save your imageto SD card.~ This photo editor application supports all screenresolutions of mobile and tablet devices. ~ Share your images viaWhatsApp, Telegram, Line, Facebook, Twitter, email and other socialnetworks. ~ Save your new edited Eye frame images and share itinstantly on social networks.~ this photo editor app does notrequire internet connection.~ this photo editor app Makes you acelebrity.~ this photo editor app is completely free download.brieffeatures:~ collage maker~ photo collage~ photo editing~ photoframes~ picture editor~ funny photoDownload this photo editor appto find more features and lots of ready made Eye Photo Frames.